At 12:00 pm today Port Control reported winds just shy of 100 kilometres per hour. Sailors sitting on the deck saw spindrift streaming down the channels and over the harbour wall. 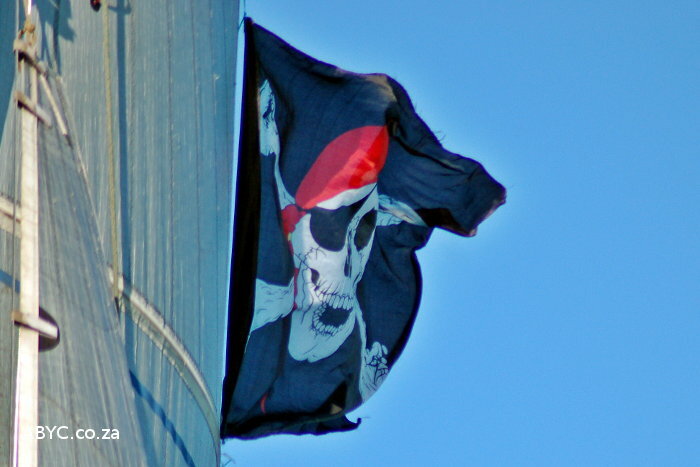 So no sailing today BUT a little quiz – Do you recognise which boat this is flying the Pirate Flag? First correct answer wins a beverage of your choice from me.